Whether you’re jetting off on a family vacation, backpacking solo in the wild or going away on business, mobility is key when traveling with your photo gear. It’s true that today’s D-SLR bodies and lenses continue to set new standards for what’s considered lightweight (the new Olympus E-420 weighs just 13.4 ounces). But throw in more extras than needed, and you’ll be too exhausted from lugging your equipment around to take good shots. Consider these essentials to stay light on your feet, and then you can learn the skills to master the fine art of travel photography. Keep it simple. 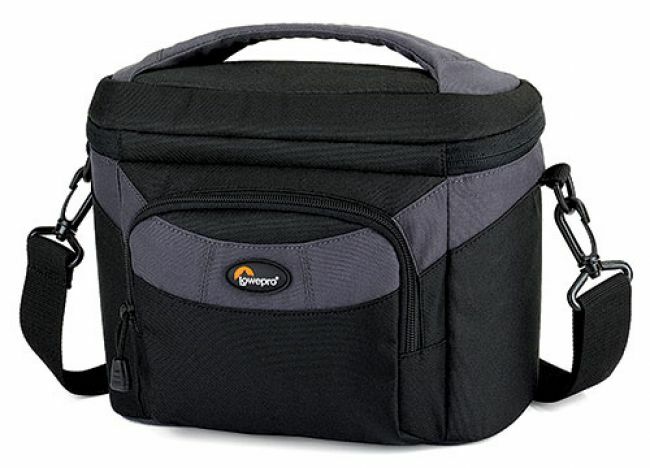 Take one large bag that has room for multiple lenses, memory cards, a tripod, power cords and accessories. Bring along a smaller day bag that holds just your camera and an extra lens. When a camera and lens is all that you need, the Lowepro Cirrus 140 is an ideal option. The shoulder bag provides easy access to an SLR with zoom lens, plus there’s room for an extra lens or flash. An adjustable shoulder strap, easy grip handles and a belt loop give you a variety of ways to carry the bag. The exterior is composed of shock-absorbing fabric, while the close-fitting padded interior prevents scratching and keeps out dust. Estimated Street Price: $35. Tamrac developed its Adventure Series photo backpacks with style, security and functionality in mind. With a look designed more like a sleek backpack than a bulky camera bag, the lower section consists of foam-padded compartments that protect your equipment, while the upper part holds personal items. The Tamrac Adventure 9 fits a pro D-SLR with grip and up to a five-inch lens attached. You also can throw in a few additional lenses, accessories and a tripod, and there’s a separate padded compartment for laptops with up to 17-inch screens. Estimated Street Price: $135. The ability to upload, organize and adjust your images on the road is big because it lets you use evenings at the hotel to review your day’s shots, provides a backup solution and saves you from having to do everything when you return home. And with some of the latest laptop arrivals making the featherweight division, you can comfortably take a computer along without losing mobility. The sleekly designed Apple MacBook Air and Lenovo ThinkPad X300 have generated plenty of buzz this year. The two have much in common, with 13-inch backlit displays, full-sized keyboards and a thickness of less than an inch, and each weighs about three pounds (depending on configuration). Just 0.76 inches at its thickest point, the MacBook Air set a new standard for mobile computing when it was released. An 80 GB hard drive is standard, but you have the option of a 64 GB solid-state drive—though it’s a pricey option. What the Air misses in terms of functionality (no internal optical drive, one USB port and a nonremovable battery) it makes up for in portability. The multitouch trackpad makes photo viewing easier by letting you swipe, rotate and zoom through images. Plus, there’s an optional external SuperDrive designed for the Air that reads and burns CDs and DVDs. List Price: $1,799 (80 GB); $3,098 (64 GB SSD). The Lenovo ThinkPad X300 features a built-in DVD burner and a variety of connectivity options with three USB ports, an Ethernet connection and GPS capabilities. There are also ports for connecting a microphone or headphones. The laptop is only available with a 64 GB solid-state drive, which makes it fast when booting or launching applications, but also more expensive. List Price: $2,997. When even the skinniest laptop takes up too much space or just isn’t necessary, a handheld image viewer may make for a better fit. These compact image warehouses pack a lot of power, with big, bright LCD screens for reviewing images and high-capacity hard drives for organizing and storing files. The Epson P-5000 is an established favorite in this category among photographers. Displaying more than 16.7 million colors on a four-inch LCD that uses Epson’s Photo Fine Ultra LCD technology, the device has an 80 GB hard drive, built-in memory card slots and two USB ports. It weighs less than a pound. Estimated Street Price: $675. The GIGA Vu extreme from JOBO AG has a 3.7-inch VGA resolution display and is available in capacities from 80 to 160 GB. There’s a built-in memory card slot for Compact Flash and MicroDrive formats, plus an SD/SDHC adapter. It transfers up to 1 GB in about two minutes, has a verify function that confirms images were transferred safely and features real RAW file decoding of more than 100 RAW formats. It weighs less than a pound. Estimated Street Price: $899 (160 GB). Space is precious when you’re traveling, but don’t sacrifice taking sharp, blur-free photographs. Pack a tripod. The compact Giottos RT 8000 Series tripods weigh 1.2 pounds and measure less than 12 inches long when folded. They have a unique three-way head for easy panning and tilting with one handle. For quick setup, all you do is extend the legs and then twist the top section to lock them in place. Maximum height is 40.5 inches. List Price: $38. The Manfrotto 190CX3 weighs just three pounds, but can support 11. Consisting of carbon-fiber tubes and aluminum die-castings, the tripod is sturdy without being bulky. The aluminum center column includes a low-angle adapter at the bottom that can be used as a short column. It has a maximum height of 57.5 inches. List Price: $264. charge protection mechanism that protects batteries from damage. Estimated Street Price: $58. The MFUEL Universal Power Bank is a 9200 mAh Li-Ion power supply that uses smart Hot Tip technology to charge multiple devices simultaneously. An LCD screen shows charge time, battery level and run time of your devices. A car charger adapter and Power Puck are included for even more functionality. The Power Puck works as a power and data-transfer cable either through USB or Ethernet Hot Tips. Estimated Street Price: $272. To find out more about creating memorable travel photography, no matter your subject, our guide to the Fine Art of Travel Photography will help you create memorable images, with tips on capturing different subjects, using tripods and flashes, shooting at night, creating environmental portraits and more.